Steve’s pleased to share that he has sold almost $1,000,000 of property in the past 2+ years. These properties have been located in both Cayuga and Onondaga counties and four different school districts (Auburn, Marcellus, Skaneateles and Union Springs). These properties have also been in a number of different towns including Owasco and Sennett and have been located on two of our beautiful Fingerlakes. He is continuing his real estate education by taking numerous courses to enhance his real estate skill set. He recently achieved his E-Pro certification. He is currently working on his FAA commercial drone license and his GRI certification. He brings the same passion and dedication utilized in the educational environment and on the lacrosse field to the real estate industry. Steve is extremely thankful and humbled by the trust placed in him by his clients. He pledges to give you his 110% best each and every day. Thank you and please contact Steve if he can assist with any of your real estate needs. Steve is proud to serve as a licensed real estate salesperson with Picciano Real Estate. He was born and raised in Auburn and is currently raising his family here with his wife, Michelle. He is a 1985 graduate of Auburn High School. He also graduated from SUNY Potsdam and SUNY Oswego. He has been employed by the Auburn School District for almost 30 years and is currently a Guidance Counselor at Auburn High School. He was a Head Varsity Lacrosse Coach for over twenty years and now coaches youth sports in the Auburn community. 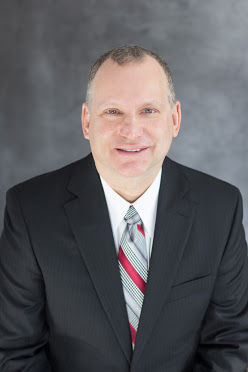 He is a member of the Greater Syracuse Association of Realtors, the New York State Board of Realtors and a member of the National Association of Realtors. In addition, he is active in the community via his work with the Cayuga Counselors Association, Holy Family CYO, the Auburn Athletic Hall of Fame Committee, the Auburn Lacrosse Boosters and the Upstate Lacrosse Association. Steve enjoys working with individuals and families throughout the community who are looking to either buy or sell a home. He prides himself on delivering top notch customer service with a focus on honesty, dedication and professionalism. He can be reached at 315-730-8664.